Walking on water might not be quite the miracle we've always thought: a number of animals, including geese, can walk or run across the surface of water by dashing (and splashing) as quickly as they can. Because the surface tension of water is too weak to hold a goose up, the birds must slap their feet through the water with enough force and speed to keep their bodies from being submerged. 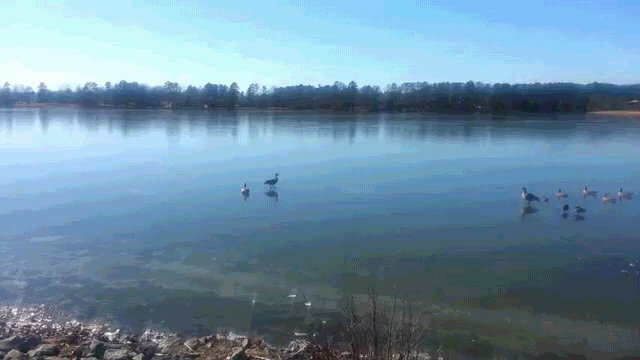 Miraculously or not, they can -- and, like the geese in these videos, often do.